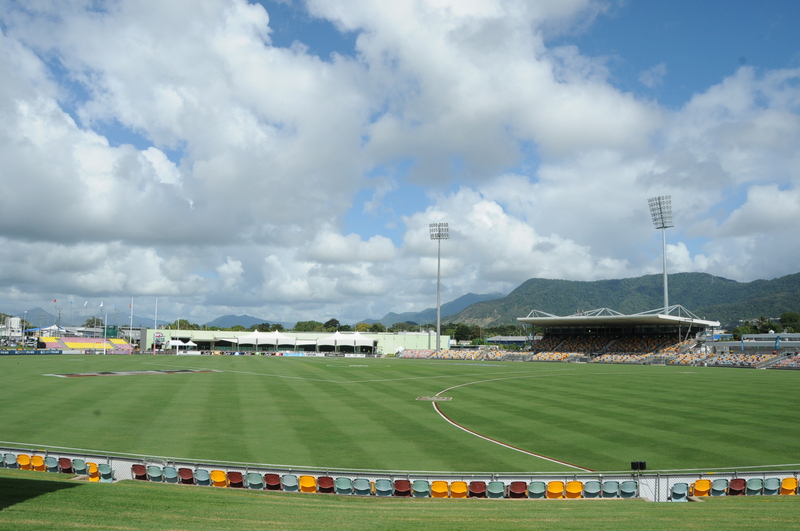 Cazalys Stadium, formerly known as Bundaberg Rum Stadium, is AFL Cairns’ sports stadium located at AFL Cairns HQ, Westcourt Cairns. It is named after the former VFL legend Roy Cazaly. 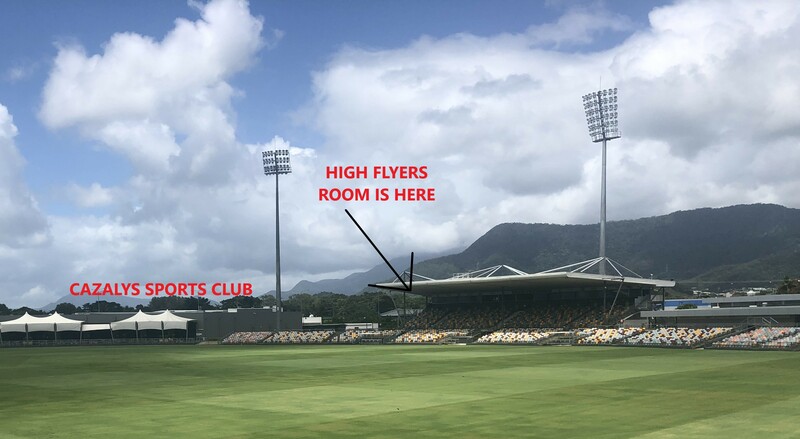 The stadium is the largest oval stadium in Cairns, is owned by AFL Cairns and is used by AFL Cairns, Queensland Cricket Association and Queensland Rugby League. 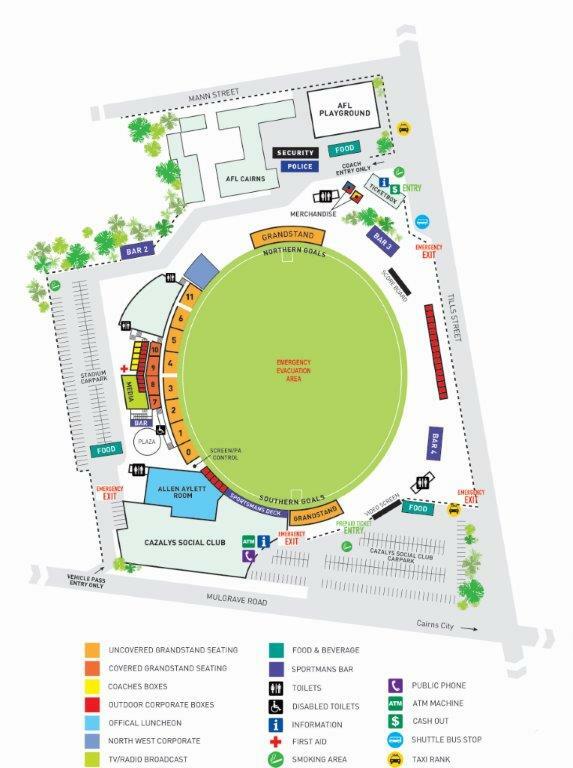 It features a main grandstand relocated from the Brisbane Cricket Ground in the late 1990s. In 1957 the Australian National Football Council, through Bruce Andrew, purchased land in Cairns for the first dedicated field in regional Queensland which became Cazaly’s Stadium. The Cairns Australian Football League, led by Kevin Crathern (then president of the CAFL), helped clear the land of trees, filled in the dense bushlands and turned the land into a suitable playing field. In 1984 the CAFL began negotiations with the ANFL in a bid to purchase the freehold of Cazalys Stadium. The bid would prove successful and the CAFL would make the final payment on the ground in 1994. From 1997 to 1998, $2.4 million was spent upgrading the stadium, which included acquiring the western grandstand from the Gabba and the installation of 4 light towers. In 1999 the CAFL purchased the 51st battalion barracks housing property adjacent to grounds, which later became the headquarters for AFL Cairns. In 2008, $3 million was spent upgrading the stadium including lighting to AFL television standards, new entrance gates on Till street, increasing the size of player dressing rooms, providing adequate first aid and medical facilities and improved coaching facilities. In 2011 a $15 million stadium redevelopment was completed which included new grandstand and players facilities, media box and upgraded lighting. In 1957 the Cairns Australian Football League named the newly opened ground after legendary VFL player Roy Cazaly. Although Cairns had traditionally been a Rugby League dominated area, the AFL Cairns settled on the name in an attempt to expose locals to Australian rules football. It is also believed the choice of name was seen to be a good fit due to the popular song “Up There Cazaly”, making reference to the city’s northern geographical location. 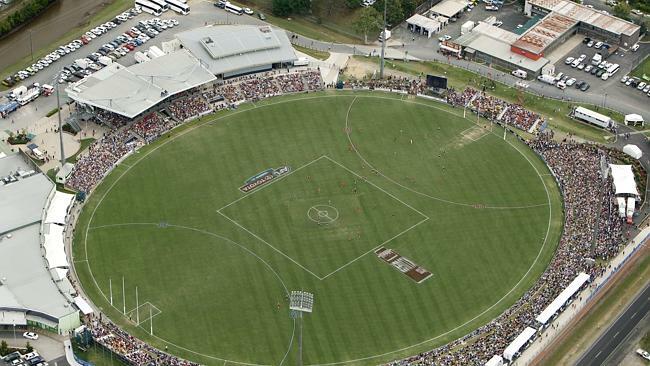 The stadium was briefly known as Bundaberg Rum Stadium between 2001-2003 after being officially sponsored by Bundaberg Rum.